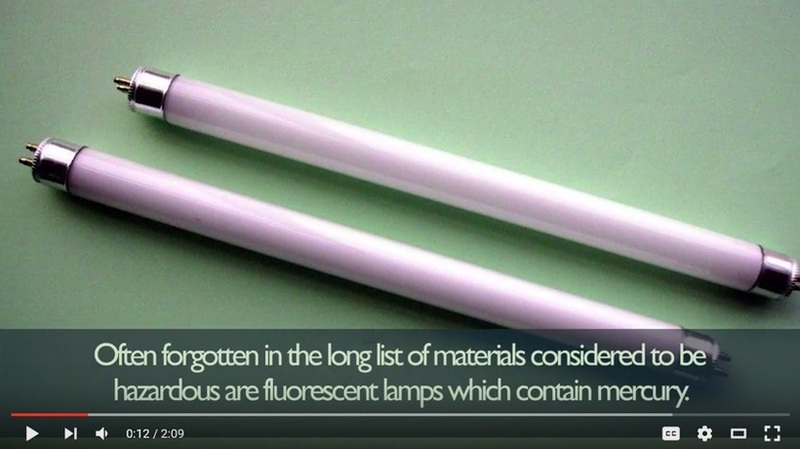 Be careful not to break compact fluorescent lights (CFLs)! Each CFL contains a small amount of mercury, which can be dangerous if released into the open. Yes, mercury vapor is used to transport electrical currents through the light bulb. Even though the amount of mercury is relatively small, CFLs must still be disposed of as hazardous waste. Mercury is a toxic heavy metal that can cause severe damage to the brain, nervous system, kidneys, lungs, and other vital organs. Pregnant women, infants, and young children are especially at risk. How should I store and transport my old CFLs? Place your used CFLs in a sturdy container that has a lid; a box or bucket works well. Remember to keep the container in a safe spot, away from children and pets. When you’re ready to head to a collection facility, put the container in your trunk or back seat, making sure to secure it so that it doesn’t shake or tip over.